Rhian Brewster looks set to stay at Liverpool and has named Trent Alexander-Arnold as an inspiration to stay and fight for a first-team place. 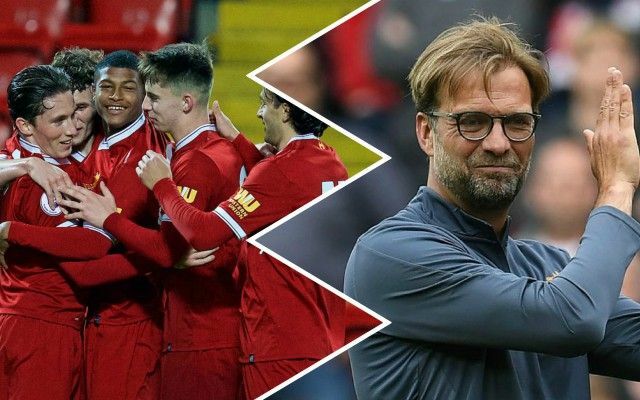 The exciting teenager admits he had some doubts but Goal report he’s now expected to sign a new contract after being won over by the club and Jurgen Klopp’s plans for him. With Trent doing so well last season after a show of faith from Klopp, it’s clear academy players have a role to play at Anfield and there’s every chance Brewster can be the next success story in that department. The 18-year-old spoke about the temptation to move abroad as some others have done, most notably Jadon Sancho, who left Manchester City for Borussia Dortmund and who has reaped the benefits by getting a decent amount of playing time in the Bundesliga – something far less likely to have been on offer any time soon at the Etihad. “At the moment, I just want to be playing regular professional football for the first team,” Brewster told Goal. “Whether that was at Liverpool or somewhere else, yeah I was uncertain. “But hopefully in 12 months’ time I’ll be sat here saying I made the right decision in what I chose to do. I want to be able to reflect positively on that. “Sure, I look at people like Jadon,” he says. “But then I look at people like Trent [Alexander-Arnold]. “You can do it both ways. You can go down the road of staying, waiting for a chance and then taking it, like Trent did, or you can look at it like Jadon did, and think maybe I won’t get my chance here, so I can go somewhere else, abroad maybe. I look at it both ways.